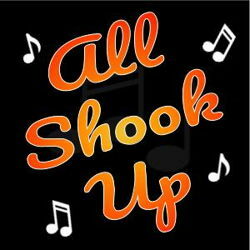 All Shook Up depicts a small Midwestern town in the 1950s with a racial divide. Over the course of the play, through Dean and Lorraine’s relationship, the townspeople realize the unjustness of the segregation. In keeping with that, productions feature an interracial cast of African-American and white performers. If a production has any specific casting issues that are unavoidable, though, the script provides an alternative source of conflict, in which the town is divided over class. This opens up casting for all ethnicities in all roles.